NCQA Blog – Improving health care quality. Part 1: Do we agree on what matters most? There are few things as satisfying as slipping into your favorite pair of shoes. The ones that fit perfectly—the ones that feel as if they were made just for you. A case study conducted by NCQA, with funding from The SCAN Foundation and the John A. Hartford Foundation, indicates the same thing holds true in health care. Health care works better when it fits your needs—as if it was tailored for you alone. But the majority of the time, that isn’t the case. Health care services often focus on treating single diseases, even for people who suffer from multiple conditions. In some cases, treating one condition may make another worse. Often, a cure is not possible, and in lieu of a cure, preserving or improving quality of life—as defined by the individual—becomes a priority. NCQA Wants to Know: What matters most to people with complex needs? We looked at people who needed a combination of medical and behavioral health care, or who needed medical care and long-term services and supports, such as help with bathing or housekeeping. We reviewed care plans. We interviewed people about their goals. We found that what people told us is important related pretty well to what was documented in their care plan. The goals documented in care plans commonly reflected necessary services or care; things like regular physician visits, medication management and patient education. The connection between the documented goals and the stated goals was sometimes obvious, but more often, it could only be explained by individuals or their care managers. This uneasy connection leads to important questions for health care professionals, policy makers and quality measure developers: How well can providers meet a person’s needs if the care plan doesn’t fully document what matters most to the person? How can we do a better job of integrating personal goals into the care plan? Although we can survive with poorly fitting shoes, most of us prefer to wear the pair that is most comfortable—the pair that fits just right. Shouldn’t we seek at least the same “fit” in our care plans? The SCAN Foundation—advancing a coordinated and easily navigated system of high-quality services for older adults that preserve dignity and independence. For more information, visit www.TheSCANFoundation.org. The John A. Hartford Foundation, based in New York City, is a private, nonpartisan philanthropy dedicated to improving the care of older adults. 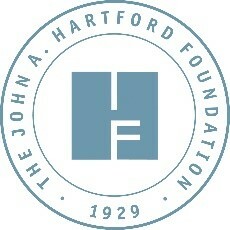 For more information, please visit www.jhartfound.org. Jessica Briefer French is a Senior Research Scientist at NCQA, with responsibility for leading large and complex grants and contracts. Ms. French has worked in health care quality for twenty years in both the private sector and on government contracts and private foundation grants. 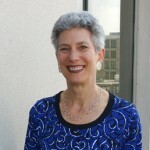 Over the last decade, her work has focused on measurement and evaluation of quality of care for vulnerable populations, adults with complex health care and long-term services and supports needs, including people dually eligible for Medicare and Medicaid, children with special health care needs, racial, ethnic and linguistic minorities and human research subjects. Ms. French is co-Principal Investigator of the current work updating accreditation standards for LTSS. Save your favorite pages and receive notifications whenever they’re updated. You will be prompted to log in to your NCQA account. Share this page with a friend or colleague by Email.